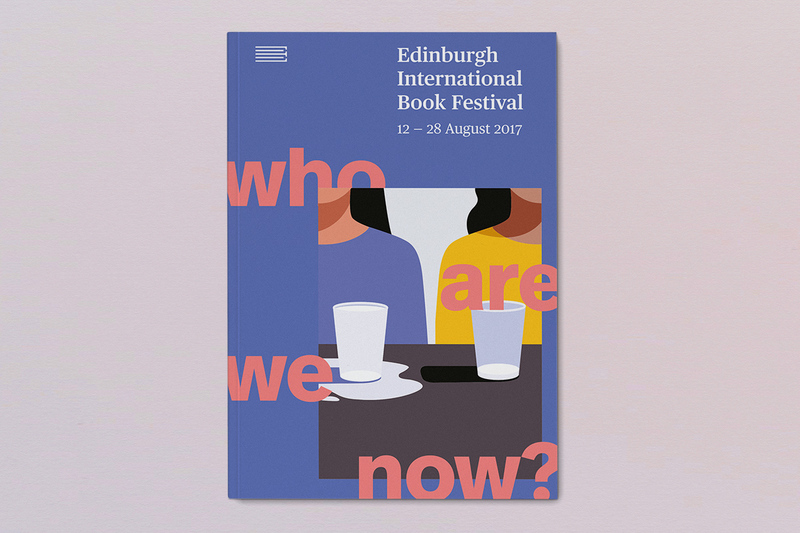 Glasgow design agency Tangent Graphic and illustrator Anna Parini’s identity for Edinburgh International Book Festival captures a sense of uncertainty about the future. The theme for this year’s festival is ‘brave new worlds’. 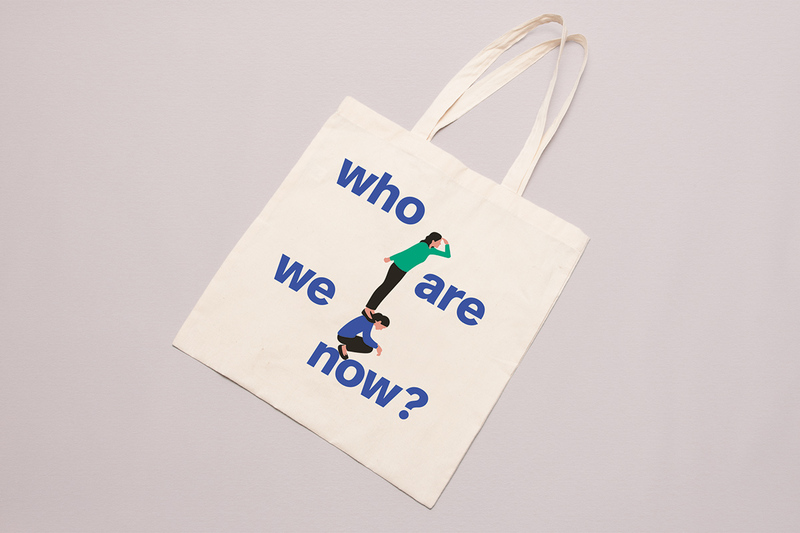 The identity features a series of thought-provoking questions – such as ‘who are we now?’ and ‘what do we want?’ – accompanied by some striking illustrations by Parini. 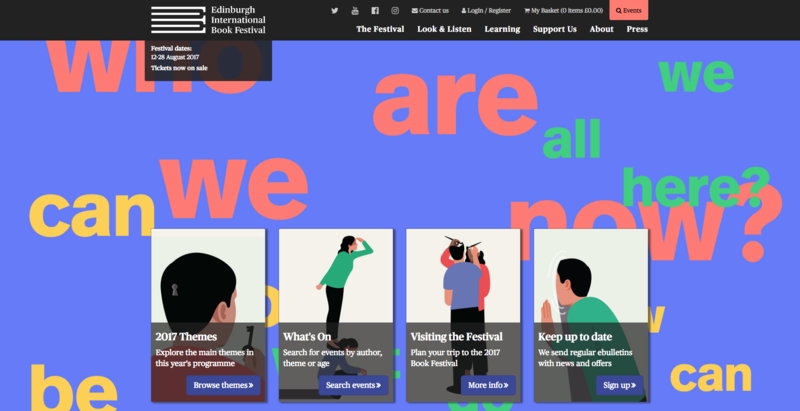 “The focus [of the festival] is quite wide ranging, examining the cultural and political shifts of recent times and how they have led to a series of unpredicted events like Brexit, Trump and the recent UK election results,” explains Tangent co-owner David Whyte. 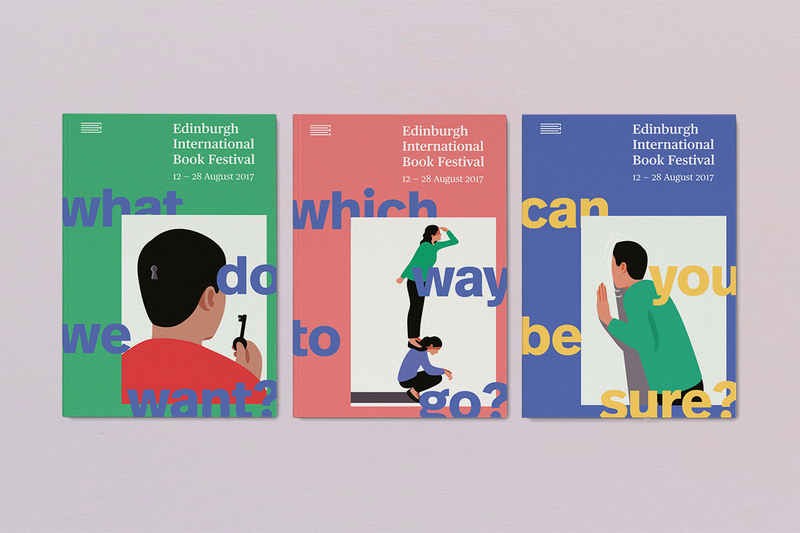 Artwork features on programmes and posters as well as the festival website. 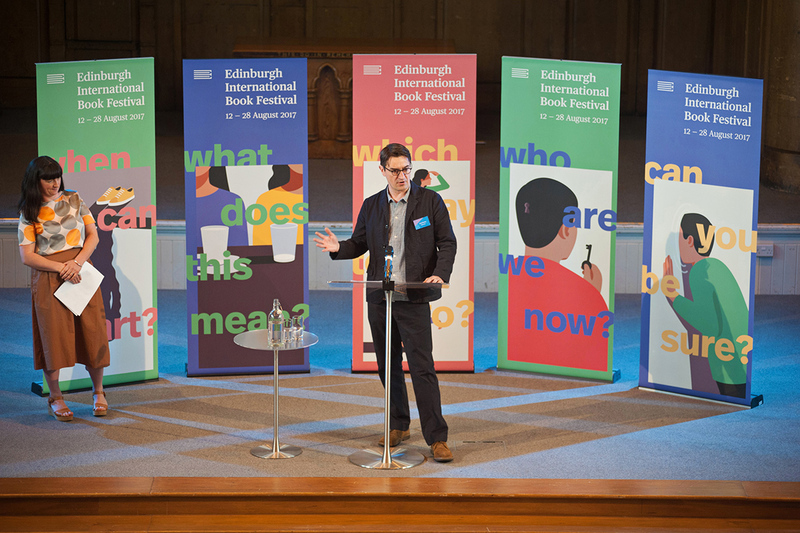 The festival takes place from August 12 – 28 and includes talks, readings and workshops with fiction and non-fiction writers. Tangent also created the identity for last year’s festival, which featured psychedelic illustrations by Craig & Karl. 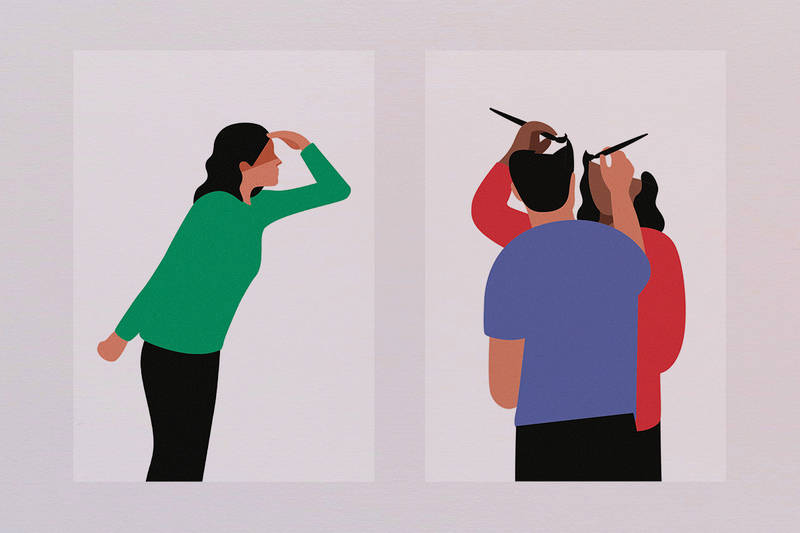 Parini is based in Barcelona and has created illustrations for The New Yorker, Internazionale and The New York Times.